Every effort is made to bring our dogs to the listed event each week, but due to volunteer or foster commitments Santana may not be at every event. To find out if Santana will be at this event, contact KimM. Santana is such a love bug! He is the classic tough-looking guy with the heart of gold. He is the best snuggler and will give you his whole heart. 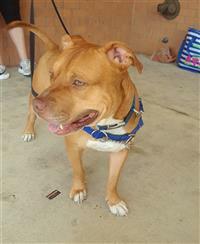 He's a very affectionate boy who wants to be your lap dog! Santana loves to greet every human he meets and thinks every stranger is his new best friend. He doesn't jump on people but rather climbs into unoccupied laps, and overall really seems to have very nice manners, especially for a dog who appears to have spent much of his life outside before coming to HART. As a bonus, his fur is amazingly soft! 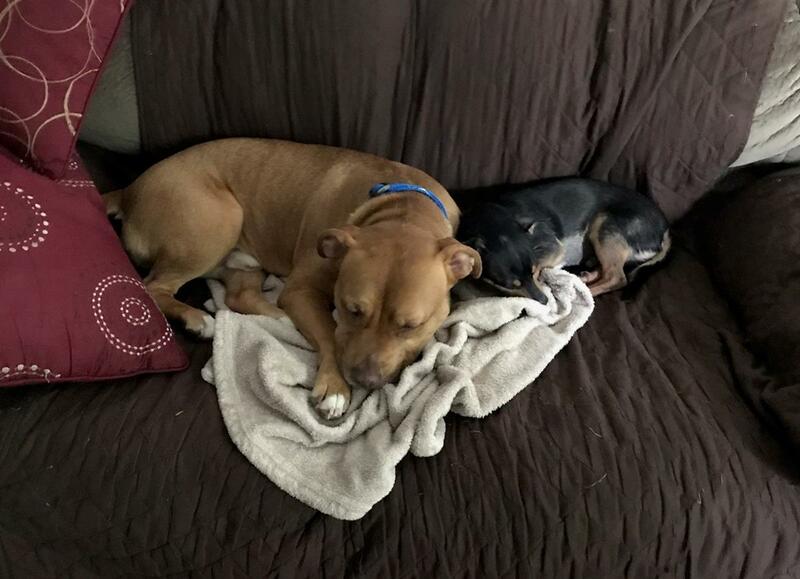 Santana is great with the other dogs in his foster home, including the little ones, who he is very gentle with, and an annoying little foster brother that he is very patient with. He loves the dogs in his pack, but he is not good with other dogs outside of the home. He doesn't like meeting dogs on walks, so he needs a home with a big fenced yard or a quiet area for leash walks. It's time for Santana to find a home where he's always welcome inside so he can enjoy life to the fullest right where he wants to be, which is next to his person or family. Can you help this handsome boy find that special place in your heart and home? Come meet him, and he will melt your heart.